and recovery time when the system is down. The first of which is Service Strategy i.e. the process of designing, developing and implementing service management as a strategic resource. The Service Strategy is at the core of the Service Lifecycle ; the phases Service Design, Service Transition and Service Operation implement this strategy. Strategy can have many definitions but its main goal is to identify the competition and to compete against it by differentiating oneself from the rest and delivering superior performance. A strategic perspective provides direction. A directionless strategy leads to a rudderless organization. Strategy needs to set a direction, a horizon to cross. Positioning defines the organization; it is the defining characteristic; you cannot be all things to all people. Positioning narrows focus; it zones in on the factors that set the organization apart. Positioning is the result of 3 broad inputs: market analysis, internal corporate analysis and competitor analysis. Positioning is not static and evolves and changes over time. Strategy as plan focuses on the steps to be taken to implement strategy. Strategy is the procedures followed that lead to recurring successes. Service Strategy is about answering hard questions as to what do we specialize in, what are our strategic assets, what are our competencies, what kind of services can we offer, how are we different? Development and application of service strategy requires constant finessing; service strategy has to be forward looking. Strategy is the cornerstone of organizational success. The final post in this series on Architecture – Understanding The Criteria. This post consists of the few remaining terms that I overlooked in my previous posts. Distributed computing is a field of computer science that studies distributed systems. A distributed system consists of multiple autonomous computers that communicate through a computer network. The computers interact with each other in order to achieve a common goal. 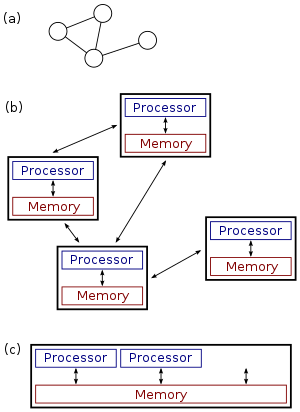 A computer program that runs in a distributed system is called a distributed program, and distributed programming is the process of writing such programs. Distributed computing also refers to the use of distributed systems to solve computational problems. 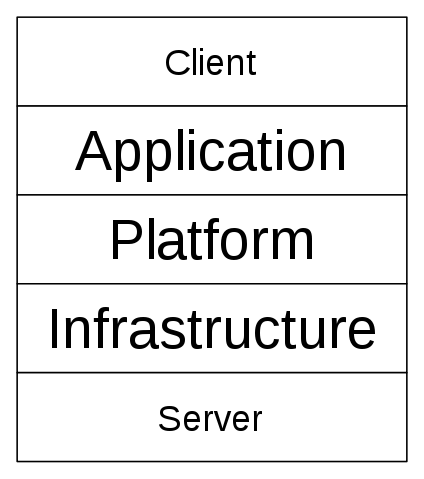 In distributed computing, a problem is divided into many tasks, each of which is solved by one computer. 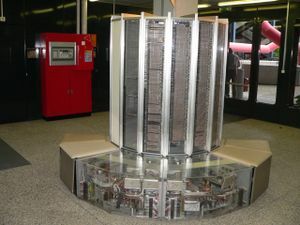 Distributed computing was earlier known as parallel computing. Of late, it has come into vogue and is referred to as grid computing. Distributed systems are systems that communicate to each other via the network; this implies different systems residing on different physical hardware. 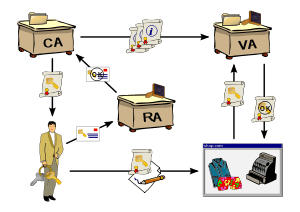 A web architecture is by nature distributed; the client is the browser that resides on the user’s machine; the presentation tier may or may not be co-located with the business objects on a single machine and finally the database resides on a database server. Also, SOA (Service Oriented Architecture) which implies web services are also by their very nature distributed systems. Message Oriented Middleware add another layer of abstraction and decoupling to distributed systems. 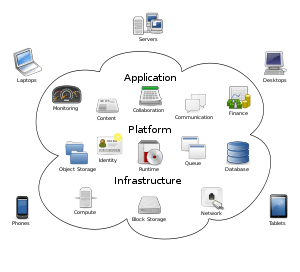 Grid computing involves the asynchronous distribution of tasks of a job or several jobs to slave systems that perform the tasks and the results are sent back to the master where the results are aggregated to be presented to the job submitter. A very relevant example of grid computing would be Google Search Indexing which is a grid computing exercise with several software agents called robots that index the web and update the Google Cache and Index Database. Variability is how well the architecture can be expanded or modified to produce new architectures that differ in specific , preplanned ways. Variability mechanisms may be run-time,compile-time,build-time or code-time. Variability is important in a product setting when the architecture is the underlying architecture behind a whole set of related products or product line. 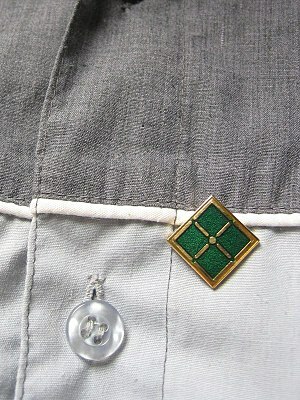 Conceptual integrity is the unifying theme underlying an architecture. Simply put, the architecture allows does similar things in a similar fashion. The architecture should exemplify consistency, have few data and control mechanisms and use a small number of patterns. This makes it easy for developers to work on the system and nasty surprises are avoided. Though this seems specific to cloud computing, I will include it here. Elasticity is the ability of the supply of computing resources to react dynamically, in a preplanned manner, to changes in demand – either increased or decreased demand. 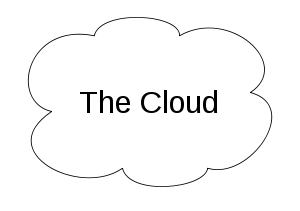 This is a feature of cloud computing offerings as per the Service Level Agreements (SLAs) the enterprise may have with its cloud computing suppliers. The outsourcing can have various combinations, such as in-sourcing for normal, anticipated computing demand and outsourcing for spikes in demand; or complete outsourcing to a single provider , single sourcing ; outsourcing to a single provider with surges in demand outsourced to another cloud computing provider; outsourcing to multiple providers to reduce downtime – multi-sourcing. Reference: Evaluating Software Architectures – Methods and Case Studies – Clements, Kazman & Klein. This is the 3rd post in this series Architecture – Understanding The Criteria. Interoperability, Configurability,Portability, Resilience and Fault-Tolerance. Wikipedia defines interoperability or interoperable as a property referring to the ability of diverse systems and organizations to work together (inter-operate). When we talk about software and interoperability, what we refer to is the ability of different systems to talk to or communicate with each other , in a meaningful manner, thus allowing businesses to unlock value from their existing systems. Interoperability could be within the enterprise allowing departmental systems to integrate their processes or it could be collaboration with their suppliers and/or customers systems, thus integrating the information systems in the extended supply chain. Interoperability has everything to do with standards; it is about executing software projects using defined communication protocols and file formats. I have also talked about interoperability specifically with reference to web services and SOA , in my series on Web Services,SOA, Cloud Computing and BPM here. You can read more about achieving software interoperability here. Is your system configurable? Can it be configured to meet my specific requirements? That is the question from the customer. What do you answer? For more savvy users, especially those who are more familiar with web browsers, the ability to configure your privacy levels for browsing habits, is another example of a configurable software system. This is extended to large enterprise solutions, built using decoupled modules. The modularity allows certain modules to be turned on or off depending on what the user requirements are. Configurable systems are more prevalent in packaged software systems, but any good software architect/engineer worth his salt, will include these practices while building custom-built software as well. Configurable systems are not limited to the domain of software systems. When you buy a car or a computer, there too you specify the specific configuration or requirements you have in mind, as per your needs and/or as per what you can afford. Configurability , like portability, provides flexibility. Portability is the art of writing software so that it can run on different operating systems and/or hardware architecture. Most technical personnel understand portability in terms of porting an application to a different operating system and/or system architecture. This is a task to be performed by versatile programmers who are familiar with the architecture being ported from and the architecture being ported to. There are many reasons why this should happen; one of the principal causes is the upgrading of the hardware the software is being run on; another reason could be migration from one operating system to the other but the enterprise would like to retain the applications in its IT portfolio, if possible. Web applications and Java technology applications avoid this dilemma ( and now .NET) because in the case of web applications, all you need is a browser; the operating system you are running the system on is irrelevant. As for Java and .NET, as long as the operating system you are running the system on has a JVM or CLR, your system should be able to function w/o any modifications. In brief, portability is about being able to move your applications to another platform with ease. More about data portability here. The dictionary defines resilience as the power or ability to return to the original form, position, etc., after being bent, compressed, or stretched; elasticity or the ability to recover readily from illness, depression, adversity, or the like; buoyancy. When we talk about resilient systems, what we refer to is the ability of software systems to recover gracefully or degrade gracefully w/o sudden loss of functionality. Resilient software systems is by itself a generic term. This includes the ability to be fault-tolerant and reliable. In today’s world, an enterprise is only as resilient as its IT systems. This especially holds true for financial institutions where IT forms the backbone of their daily business use and transactions. When we refer to fault-tolerance, we are referring to software systems that are able to degrade gracefully. At no point, are we referring to people though there is definitely scope for fault-tolerance in human beings as well, especially project managers! The ability to recover from errors and continue functioning, albeit at a decreased level of functionality or performance level characterizes a fault-tolerant system. Fault-tolerant systems originated with software written for the NASA space program, where it was critical that software should continue to function even if a critical error occurred. Fault-tolerant systems strive to catch errors where they occur but like human beings, fault-tolerant systems may not be infallible, and thus a certain amount of redundancy may be built to help cope with unanticipated failure. Anticipating for failure is key to building a good fault-tolerant system. In this case, failure is truly an option and providing for it is key to building a fault-tolerant architecture. Other key features of fault-tolerant systems is replication and modularity. The separation of concerns helps to simplify system design and decouple and localize system failures. Continuing with Understanding the criteria…. When we refer to IT security, we usually look at access management i.e. authentication and authorization. Authentication simply means you are who you say you are. It is also referred to as identity management. Authorization means are you authorized to use the given service / application / system i.e. are you allowed access? Do you have the rights to use the resource? Authorization is usually a group / role specific policy. Rarely is authorization set at the individual level. Authorization can be also implemented , in a charging system, as do you have credits to be allowed to use the resource? This, of course, would be at the level of the individual or an entity such as an organization. Examples of this would be encountered in a utility computing model say cloud computing or even for mobile phone services. In the latter, the services are degraded once the credit limit is reached and are restored once the customer tops up his account with the required minimum amount. Authorization is also referred to as access management. A robust access management system includes verifying identity and entitlement, granting access to services, logging and tracking access, and removing or modifying rights when status or roles change. business transactions, as well as information exchanges, can be trusted (authenticity and non-repudiation). A strategy referred to as ‘defense in depth’ is used to secure computer systems from outsider attack. Here, the premise is that even if the outer wall is breached, the inner sanctum is still secure and it is also time-consuming for the attacker, by which time, a breach may be detected and flagged by a good audit trail system. This is the most overlooked aspect of a solution / application. However clever your system may be, however ingenious the engineers developing the system, if the user does not find the application easy to use, then you have a hit a brick wall. Resistance from the users can sound the death knell of any application. A good application should be intuitive to use and leverage existing habits of users. Forcing users to change their ingrained habits is always difficult. Especially with reference to transactional systems and customer facing applications, where responsiveness is key, a non-intuitive interface coupled with inadequate training on a new system can lead to frustrated users. In my experience, at British Telecom, when a GUI was introduced to the customer service representatives replacing the old mainframe UI, the sluggish responsiveness of the new UI led to experienced users switching over to the old system so that they could finish their quota of calls to be attended to. CSRs are very stressed individuals and you do not want a system to add to their discomfort. These , in my opinion , are the most relevant criterion in evaluating an architecture. Their importance may vary from system to system. But a good and simple way of evaluating a software architecture to assign weights to each criteria and a range of values from 1 – 10 for each criteria. This will give you a rough and ready estimate as to how well your architecture stands up to scrutiny.